Hopefully, you will go through your life without ever having to deal with an impounded vehicle. The police can impound your vehicle for a number of reasons, including being pulled over while under the influence of drugs and alcohol, not making your car payments on time, being caught with too many unpaid traffic tickets or being towed after your car was parked in an illegal zone. If your car is impounded, the only way to get it back is to pay the required fees. If you’re sure that your car has been impounded, it will be easier to track down. You can usually locate it by calling your local parking and towing municipality and asking the person on the phone to check if your car is in the lot. If it isn’t, you should try calling back after a few hours. It’s possible that your vehicle is on its way or there but not yet processed. You can also look for your car online. Many state and federal websites allow you to enter your vehicle identification number and find out if your car has been impounded. 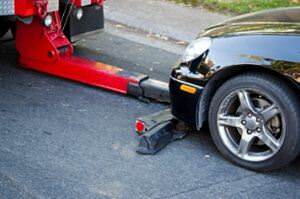 If you aren’t sure that your vehicle has been towed, and you are unable to locate it at an impound lot, you should consider the possibility that it was stolen. The longer your car sits in the impound lot, the more fees you will accumulate. Therefore, as soon as you locate your vehicle, you should do whatever you need to get the money together and pick it up. Coming up with the money for an impound release can be difficult for a new driver, but the problem will only continue to grow worse if left ignored. When you have the clerk from the impound lot on the phone, be sure to ask what forms of payment are accepted. Some impound lots don’t take personal checks or debit cards. When you go to get your vehicle, you will need to bring some important items with you. The exact requirements may vary by location, so be sure to ask the impound clerk about the details. Most likely, you will need your vehicle identification number, license plate number, drivers license and proof of insurance. If your license has been suspended due to a DUI or other violation, you will need to bring a licensed driver along with you. The impound lot is perhaps the one place that is worse than the DMV when it comes to waiting in long lines with a bunch of aggravated people. Try to be patient with the people around you. Like you, most of them were probably involved in some sort of unpleasant situation that led to their car being impounded, and that can be stressful. Also, remember to be patient with the clerks. They will be dealing with a heavy workload, and negative attitudes will only slow the process down for everyone. If you survive the long lines and pay all of your fees, you should be able to transfer your vehicle back into your own possession. Once you do, try to keep in mind the situation that led to your car getting impounded in the first place. This is definitely not something you want to go through again, so make sure to follow all traffic laws and regulations in the future.